My main passion is programming and I often volunteer my time just to get experience and try out new platforms and technologies. 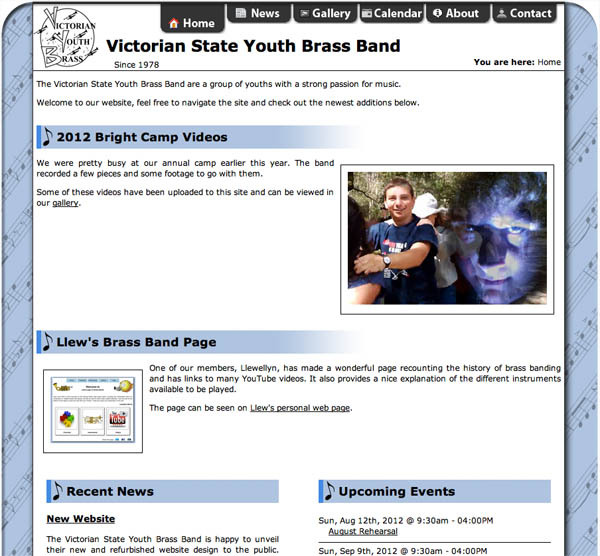 When I joined the Victorian State Youth Brass Band, they had a basic web site but it was difficult to maintain since none of the committee members knew HTML. When I joined the committee I offered to rebuild their website using a CMS to allow for easier access to the page. I installed the CMS, created a basic theme, which I tweak as the need arises, and uploaded all of their content. The site is now used regularly by members, as well as the Facebook page, to look up rehearsal dates and find out details for upcoming gigs. 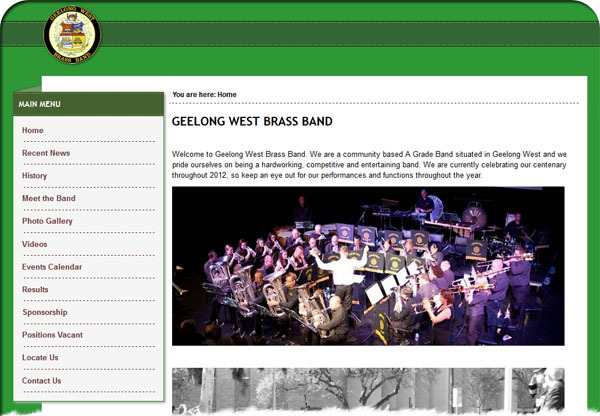 I got asked to help out the Geelong West Brass Band a while ago when their previous site was hijacked. Seeing as they were only running Joomla 1.0, there were a few security holes that needed to be patched up. After backing up their files, I wiped their site, uploaded the latest version of Joomla and proceeded to restore their content. Wanting to give their site a unique feel, I found a free theme online, although it was red, checked the license and modified it so that it was consistent with the band's colour scheme. I'm currently in the process of bringing the current VBL website up-to-date with compatible technologies for all devices. The current website doesn't work on Webkit based browsers which rules out almost all mobile platforms, as well as Safari and Chrome on desktops. It is also static and relies heavily on frames (labelled) which have been phased out with newer versions of (X)HTML. I chose to use WordPress as the backend for the new site since is allows for using the same content on multiple platforms. It also allows for multiple people to edit with site with little knowledge of HTML or CSS, a skill that many on the VBL board have yet to learn. 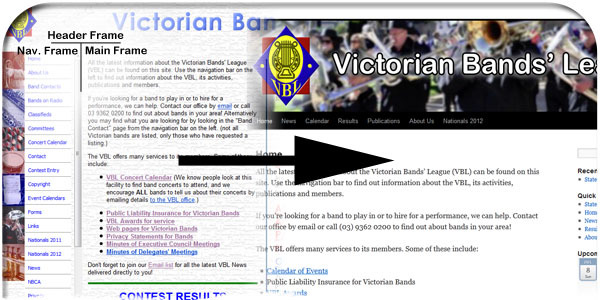 This new design has ben approved by the Executive Council of the VBL, and once I have migrated all the existing information across I will begin to transition the page over to the existing domain name and set up user accounts for the people who are granted access.